Google announced today that it will start supporting the distributed version system Mercurial as an alternative to svn in its code hosting website. The company reported that they did a study on the advantages and disadvantages of both Mercurial and Git before taking a decision. Although this is an interesting step in the direction of using distributed versioning systems, it is still too little. 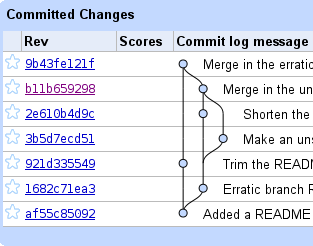 In fact, it seems that Git has many times more users than Mercurial at this time. Developers will most probably continue pushing Google into providing Git support, as sourceforge already did recently.